Stories abound of investors trapped in a quagmire of bad debt, stalled construction and disputes with developers. Apart from the circuitous options of litigation and arbitration, what are the alternatives available for beleaguered investors? Responding to the situation, a few market stakeholders have introduced ‘real estate recovery schemes' to either help investors recoup their dead investment or move to a completed property under a new payment plan. The options incorporated under these programmes can be diverse. Take, for instance, Smith & Ken Real Estate's scheme, which is only open to investors who have put down Dh1million to Dh2million in an off-plan property. While the agency will take over the investor's power of attorney for the specific project, it can, meanwhile, offer completed units at a similar price point in towers located in Dubai Silicon Oasis and Dubai Sports City. The investor's payments committed to the off-plan project will be deducted from the purchase price of the new unit. The agency claims it is a win-win proposition for both parties. Benjamin Smith, CEO, Smith & Ken, says, "A developer may have an asset that's not been sold or previous clients who have not made payments. He will, in effect, have a new purchaser, which boosts his cash flow. For the purchaser, our scheme takes away the longevity of having to go to court; they can move from a pile of sand into a completed property." While Smith & Ken managed to clinch 28 transactions under this scheme, it had to deal with a few challenges in the process. Though the distressed investors were looking out for a new payment plan in the completed property, a few developers were demanding payments upfront. "Also, many investors didn't have the fresh cash to re-invest. A lot of people who had invested in the off-plan market were speculators," adds Benjamin. The scheme is targeted at investors who have put down only 10 to 40 per cent of the purchase price of an off-plan unit. "This scheme wouldn't work for investors who have deposited 70 to 80 per cent of the payment. We are not looking to move someone into a Dh5 million villa or a Dh4 million apartment on the Palm Jumeirah, for instance," says Benjamin. Fine & Country International Realty, specialists in exclusive properties, has an off-plan recovery scheme that is a very different proposition. On receiving a copy of the purchaser's sales and purchase agreement (SPA) for the off-plan unit, the firm will provide advice on the buyer's legal position and the possibilities for money recovery. For an additional fee, the company will also undertake site inspection, land registration and escrow checks and initiate negotiations with the developer. Adrian Camps, a chartered surveyor, arbitrator and property expert at Fine & Country, outlines "three levels of services for which there are fixed charges. There is an initial consultation fee of Dh2,000, which is deducted from the service fee," he adds. However, Fine & Country is more cautious when it comes to offering unit swaps, as it does not wish to deal with any outstanding liability on behalf of the investor. "There are some official swap schemes where developers are seeking Rera's [Real Estate Regulatory Agency] approval for cancellation of the original contract, which can result in a refund and no ongoing liability for the investor," says Adrian. "So, if the developer does not intend to continue with the scheme, then it will probably allow the investor to move on via a swap scheme. But, if the developer wants to complete the original scheme, then it will not willingly lose investors," he adds. "So, while the investor can take a risk by walking away from the previous investment and contracting to the new one, there is always a chance that the original developer will pursue them for any loss. We are, therefore, reluctant to recommend any transactions that leave open liability." 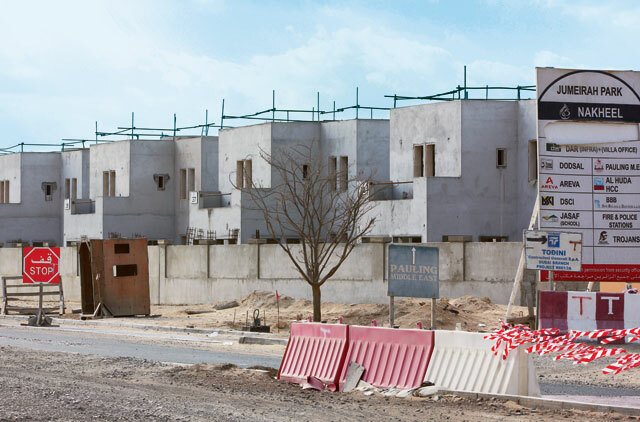 In the absence of property-related laws in other emirates, off-plan recovery schemes are mostly targeted at projects in Dubai, where legislation governing off-plan property is in place. "Dubai has specific property laws setting out certain criteria, which can mean the investor is able to reclaim their money, but most other emirates do not have such laws in place now," Adrian says. Investors need not worry about being bogged down with surcharges for this service. In the case of the Fine & Country scheme, the fees are included in the overall transaction, while under Smith & Ken, the developer would pay a commission for every transaction involving a unit swap. Agencies are not able to assist investors who aren't in a position to pay their commitments or litigation costs or who have no money to make the final payments on a ‘swap' unit. Adrian cites an example: "We have come across individuals who bought whole towers of 230 units in the hope of reselling them at a profit, only to find that the market had crashed. We also come across many cases of people who took on huge amounts of debt." Investors in such instances may have taken on easy debt thoughtlessly. Benjamin recalls "one developer who had taken almost Dh80million for nothing. That's the worst case we've encountered." At Smith & Ken, there are now fewer enquiries for the real estate recovery scheme than there were when it was launched. "We have a huge database of clients who are looking to recover their money. For investors, it's just about getting the right product at the right price-point," says Benjamin. However, he warns that purchasers who have no money to re-invest can only write off their investment as bad debt.